Lasagne fills that special place in my stomach’s heart where it both feels like a fun treat and a down to earth meal. I am very similar to Garfield in many ways. First: I too hate Mondays. Second, I am voiced by Bill Murray. Third and most importantly, I love love lasagne. Lasagne fills that special place in my stomach’s heart where it both feels like a fun treat and a down to earth meal. Probably because it is pasta, though the layers make it special. 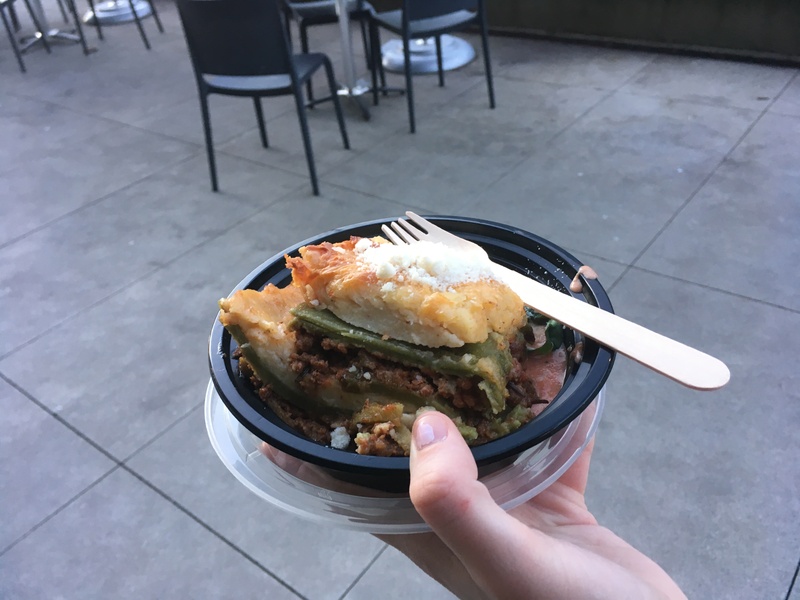 There are quite a few establishments that serve lasagne on campus so let's take a look at what they have to offer for this classic Italian meal. The Beanery feels like a cozy cabin hidden in the Fairview residence area. The comfortable atmosphere definitely adds to the lasagne experience. 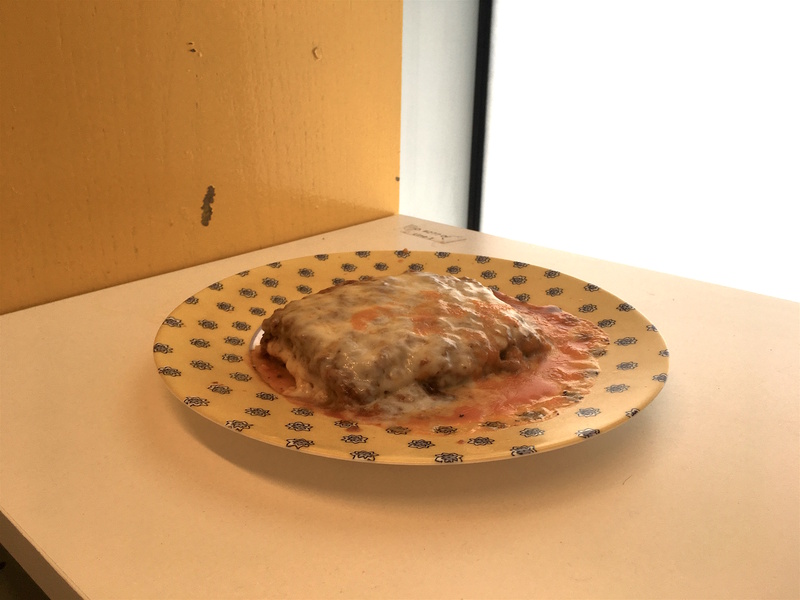 However, what detracts from the lasagne experience is that it is microwaved. The first time I had it, the pasta had been microwaved for so long that the cheese on top became a hard shell and the sauce burnt my mouth. The second time I had it, I microwaved it in the comfort of the Ubyssey office and it was less dangerous. Other than the fact it can get so hot that you could be used as a weapon, it’s passably good. Honestly nothing about it is super memorable other than the mouth injury I sustained from it. If you can get over the impenetrable cheese layer it’s a solidly hearty classic lasagne. Bonus points of the large portions and inexplicable toast and butter that comes with it. I had low expectations for this lasagne. The general public, and the Ubyssey specifically, has a history of absolutely dunking on Pie R so I was generally nervous about this pasta. The lasagne is an exclusive food at Pie R, and so the first time I went to get it they were out and told me to come back some other time. When I regained the courage to ask for it again I was shocked. The lasagne had come straight from the oven and it was glistening with hot, bubbling cheese. It comes in a little metal bowl straight from the oven which they rather recklessly hand to you on a paper plate. Maybe it was the fact that it had literally just been forged from the Pie R heath, but it was so warm and so cheesy. Because of my preconceived notions of Pie R food I thought that it was going to be real skimpy in the meat department, but there was actual meat in it! Over all, a classic lasagne that shattered my very low expectations. Also it’s only 5 dollars! The lasagne at Mercante is sort of like when you accidentally order “real” caesar salad at an Italian restaurant and it comes out very oily and tastes like fish, but you are too embarrassed to say that that’s not what you wanted. The lasagne has a layer of bechamel sauce on top and also features a creamy tomato sauce. Honestly, it’s much more similar to moussaka. I had eaten this lasagne one other time. It was in second year, minutes after a final exam I thought I bombed. When I ate it the first time, I hated it and thought it tasted weird. But this time, because I was coming in with the expectation of it being unpleasant, I really enjoyed it! The whole thing has a really interesting texture to it, it’s very soft. The meat has a unique flavour. The whole dish feels like a home cooked meal, and dare I say the arugula adds a kick of spice — bare with me, I am very white. 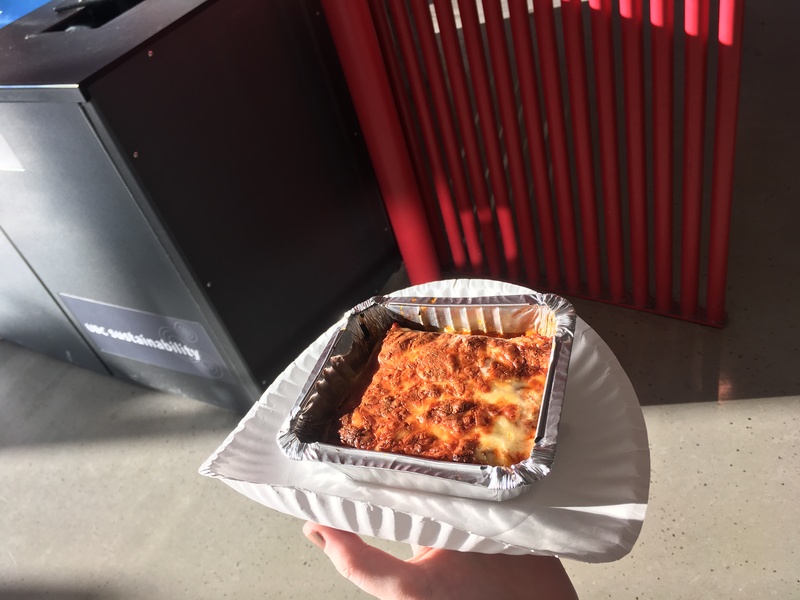 Although it comes at a bit of a steep price of $9.45 and the portion is pretty small, I would still recommend this lasagne as a nice warm meal to cry over. 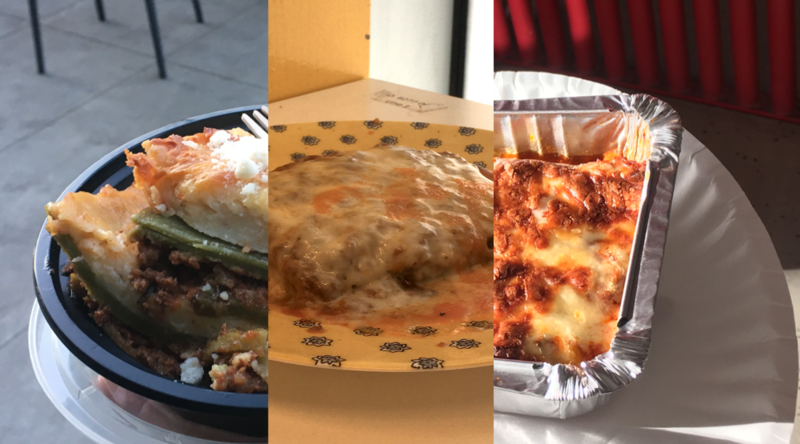 Though all the lasagnes filled me with flat, noodle-y goodness and glee, I would probably recommend the Pie R Squared lasagne. It hits all the right notes of good, cheap and legally filled with meat. However, if you had the extra cash and wanted to feel fancy I would recommend the fancy Mercante lasagne. Think of it like this: if Pie R Lasagne is Garfield: the Movie, Mercante lasagne is Garfield: A Tail of Two Kitties; technically fancier but still wholesome.